Boca Chica Beach is one of the quickest and easiest beaches to get to from Santo Domingo. Boca Chica Beach is the preferred weekend getaway location for many Dominicans living in the Capitol, taking only about 35 to 45 minutes (accounting for traffic) from Santo Domingo. The beach at Boca Chica is protected by a lagoon that makes for calm waters and you can walk out far without much change in the depth of the water. Boca Chica is not the place to go if you are looking for a pristine and tranquil Caribbean beach. This is a very active beach with many people – both locals and foreigners. There are many restaurants, bars, hotels, and souvenir shops/huts, up and down the beach. Boca Chica Beach is a great place to go if you want to spend your day or night at a beach where you can either be part of the party scene or enjoy one of the many nice restaurants which have beach/water access. Boca Chica Beach is known for its restaurants and bars which vary from very casual to high-end. Many restaurants/bars are right on the beach and allow you to enjoy your day or night eating, drinking, listening to music, dancing, and swimming in the lagoon. Two very popular high-end restaurants are Neptunos on a dock over the water, and the Marina. In my opinion these two restaurants are best enjoyed while the sun is up as the views from the restaurant are the best part. These areas allow you to relax and enjoy the beach and scenery. 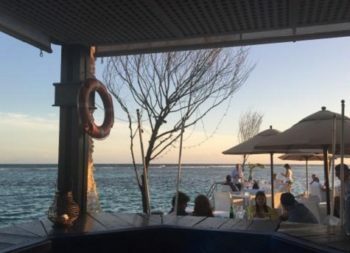 There are several restaurant/bars locations with great views and food/drinks for reasonable prices such as Porto Rosadoor and the Beach House. These places allow for a relaxing day at the beach. If you want to party at Boca Chica Beach, there is a grouping of several restaurants/bars lined up one after the other on the west side of the lagoon. These restaurants/bars have sturdy plastic tables and chairs along the water and the beach. This area can be a lot of fun, but you should be in the mood for this type of place. This is not the tranquil beach experience. This is the party at the beach experience. Because this is one of the closest beaches near Santo Domingo, on the weekends the bars and restaurants in this section are full of Dominicans from the Capitol unwinding from their week. The music will be loud, people will be dancing, drinking, eating, and everyone will be smiling. 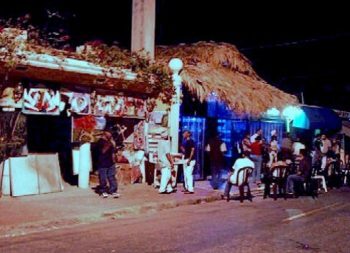 Not only is this place a lot of fun, but it is also some of the more reasonably priced places in Boca Chica. One of my favorite places to go is the restaurant/bar Playa Maximo. 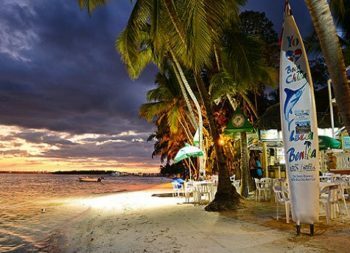 Boca Chica at night can be enjoyed in any of the restaurants and bars listed above and in the city itself. About a half mile from the beach you will also find many bars, restaurants and clubs that stay open until the early morning hours. There are also many of your standard water-sports found along any tourist area: parasailing, kayaks, scuba diving, snorkeling, jet skis, boats, fishing and tubes towed behind a boat, etc. Boca Chica Beach does have a high level of poverty. At night, in the city there will be some women working their “Night Job”, etc. Also, you will see a lot of people trying to sell you stuff on the beach and there are panhandlers. This is no different than many destinations around the world such as New York, Sydney, London, etc. When you are in the tourist areas, you are fine, but if you wander down the local streets at night, you might see a person or two working in the night. They will leave you alone, if you leave them alone. The public beach itself is nothing special in Boca Chica. People come here for the amenities listed above. If you are looking for a more tranquil, natural beach, where the beach and water are the main focus, we suggest you pick one of the alternative locations to Boca Chica Beach listed below. If Boca Chica Beach does not sound like the beach for you, then perhaps Playa Juan Dolio or Playa Najayo beaches are a better choice for you. 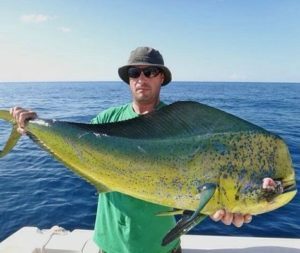 These beaches are directly on the Caribbean, offer food, drink, entertainment right on the beach, are a little more laid back, and the beaches are much better than Boca Chica Beach.